This is when I take my cleansing practices up a notch – without making anything complicated (I like simple!). In this blog post, I am going to share with you the detox elixir that I have been enjoying this January. I’ve enjoyed 1 cup daily for two weeks and have noticed positive benefits for my energy levels, skin and digestion. This in conjunction with my clean eating routine and daily detox practices, is what I’ve been calling my ‘first detox for 2017’. This detox elixir is simple to make, it’s inexpensive and lasts when refrigerated. The process is easy; all you truly have to do is pop off the lid, pour and enjoy! Making this the SIMPLEST reset cleanse for even the busiest bodies. I call it the Dark Arts Elixir (anyone else in the HP fandom? ), this elixir is so deep and vibracolor, it’s like a form of dark magic! 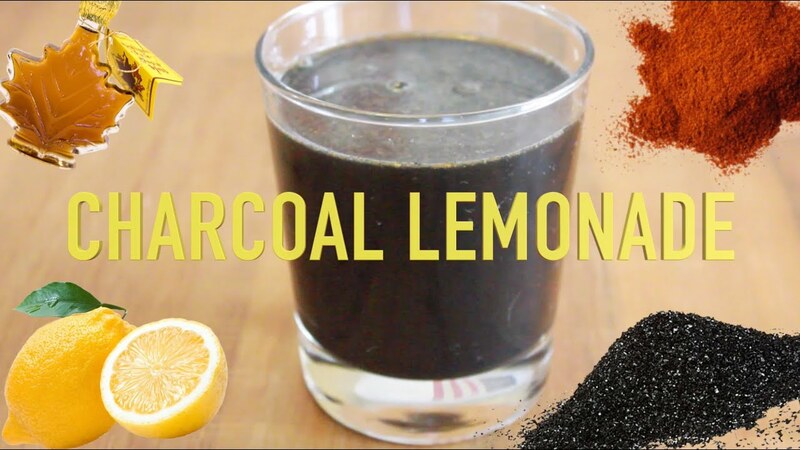 Made with few ingredients: filtered water, lemon juice, activated charcoal, pure maple syrup and Himalayan salt. Activated charcoal is manufactured by burning a source of carbon, commonly wood or coconut shells. The high temperature removes all the oxygen, and the steam activates the carbon, creating an adsorbent material with very fine mesh like pores, which can capture, bind, and remove certain poisons/toxins which have thousands of times more weight than the charcoal itself  . I like to prepare this in a 1L mason jar, I adjust the water accordingly so that everything fits, to prepare I simply add my ingredients, screw on the lid – shake, shake, shake and refrigerate. Using activated charcoal may decrease the effectiveness of your medications. Always take activated charcoal on an empty stomach, away from food or other supplements as it can interfere with nutrient absorption. Drink and cleanse responsibly & yes, activated charcoal may change the color of your #2’s. Don’t forget to check out Your Guide to Detox – complete with detox approved recipes + blog posts + online programs – all to make for a successful cleanse!